Piano music makes me feel nostalgic. After work, I listened to a lovely NPR interview with classical pianist Tara Kamangar. Her new album covers music from Russia And Iran. I adored listening to her play the love theme from Spartacus. 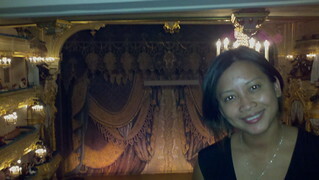 It reminded me of visiting the Mariinsky Theatre in St. Petersburg. 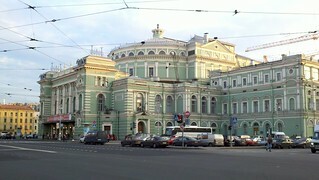 Inside this iconic venue, I watched Spartacus, the ballet. It has been a long, challenging news day. I’m grateful I had beautiful music to soothe my soul on the way home. Day 74 of 100 Happy Days.